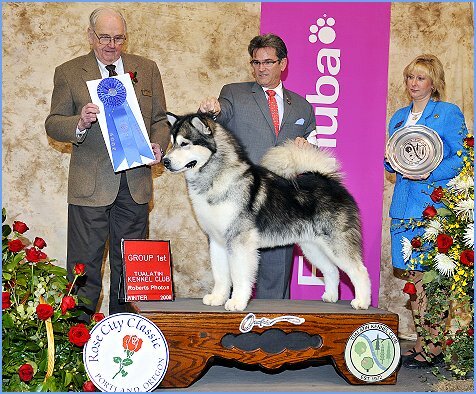 Ricky had a very impressive start from the time he began his young show career; it began back in 2005 at the Alaskan Malamute National Specialty where he was awarded Best Puppy In Show under judge Mrs. Michele Billings. 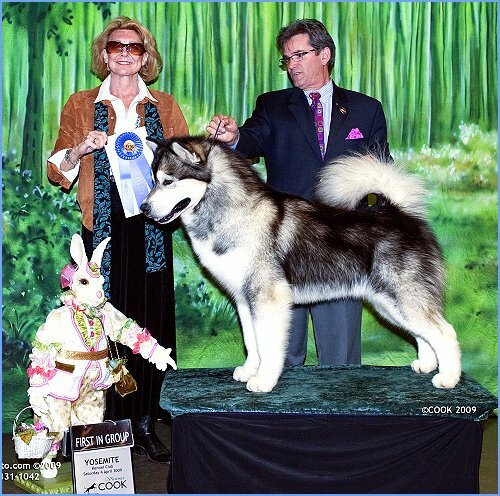 He finished that year off as the Number 1 Alaskan Malamute Puppy Dog! 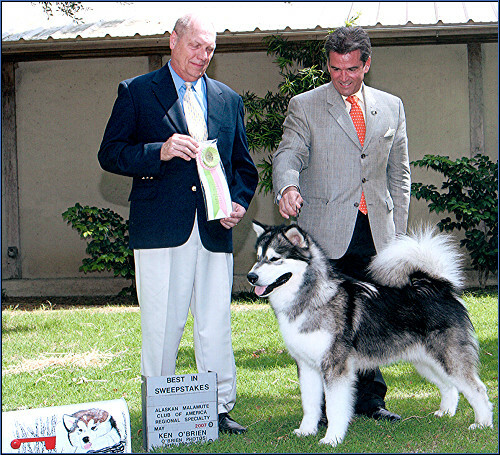 The following year (2007) back at the Alaskan Malamute National Specialty Ricky was awarded Reserve Winners Dog. 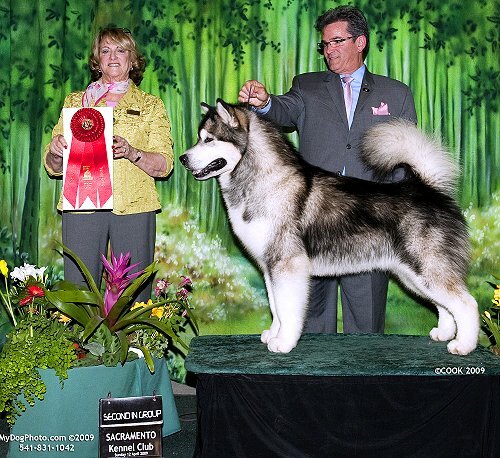 It was in May of 2008 where Ricky really put the moves on; attending the Northern California Alaskan Malamute Assoc. Specialty receiving Winners Dog & two Grand Sweepstake wins; making him a three time Grand Sweepstakes Winner. 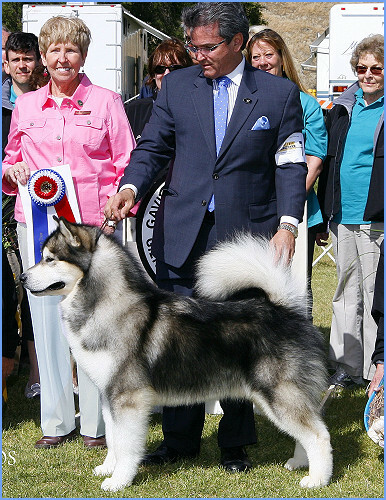 In 2009 Ricky won Best of Breed at the Alaskan Malamute National Specialty AND the Invitational Top 20 Award!!! If that wasn't enough he ended 2009 with 8 ALL-BREED BEST IN SHOWS! 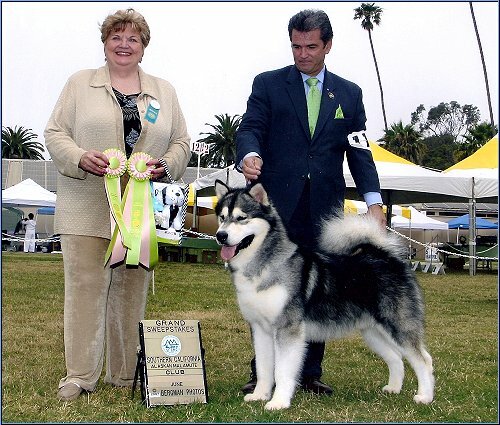 As 2010 has begun Ricky picked back up where he left off winning 2 additional Best In Shows to date he has 10 ALL BREED BEST IN SHOWS and is currently the #1 Alaskan Malamute All-Systems and is the #10 Working Dog! We feel Ricky truly exemplifies the breed standard and consider it a privilege to have him a part of our kennel. Thank you to all of the judges who have recognized him and his outstand qualities! And of course to All of the Latin Lover Fans... we thank you for your support and admiration of this truly special boy! 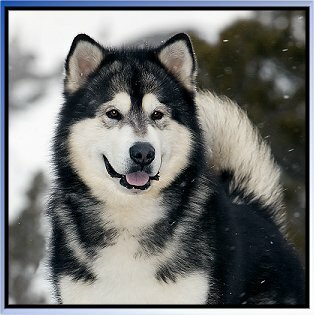 © Copyright 2004-2010 SILVER ICE MALAMUTES All Rights Reserved. Not Available for Reproduction.